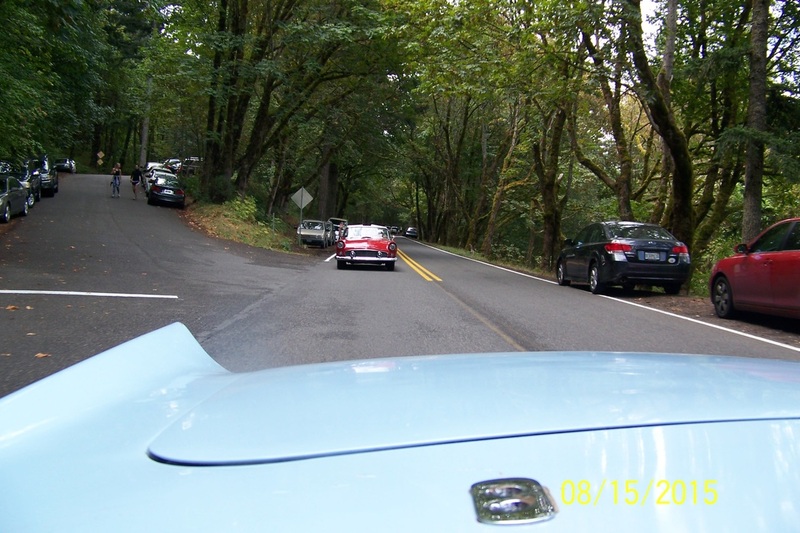 It was a GORGEous day for a tour up the Columbia River Gorge. 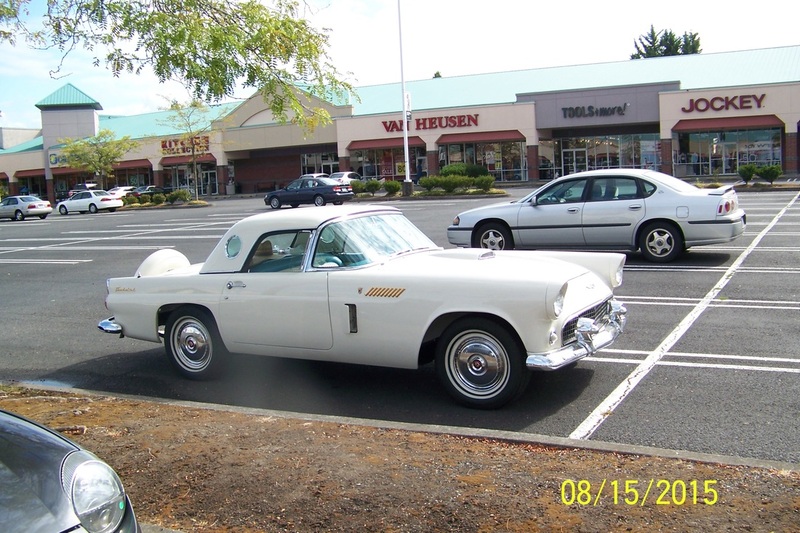 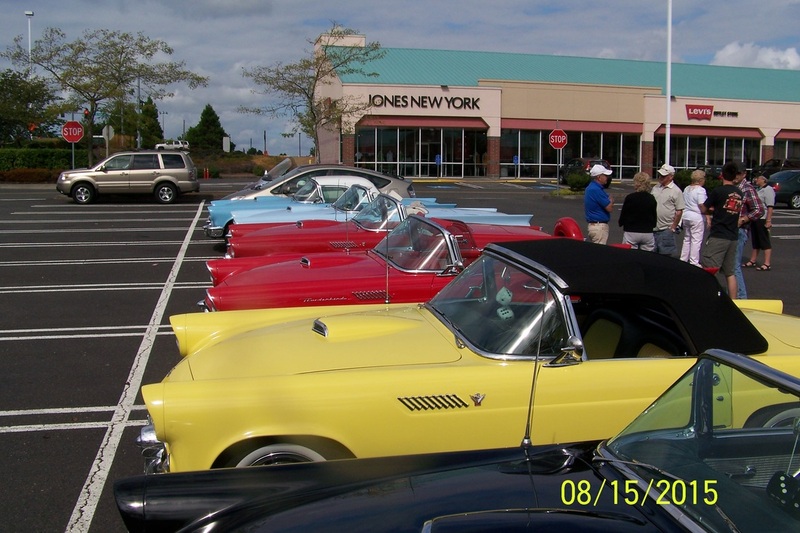 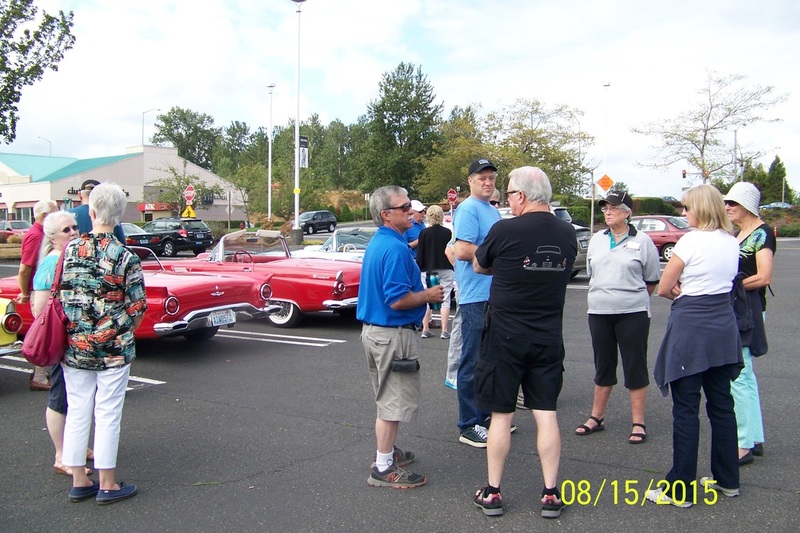 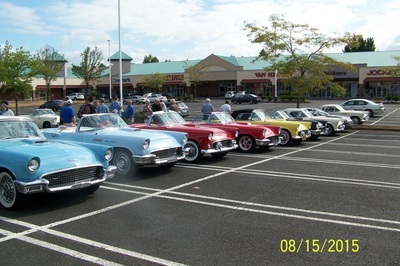 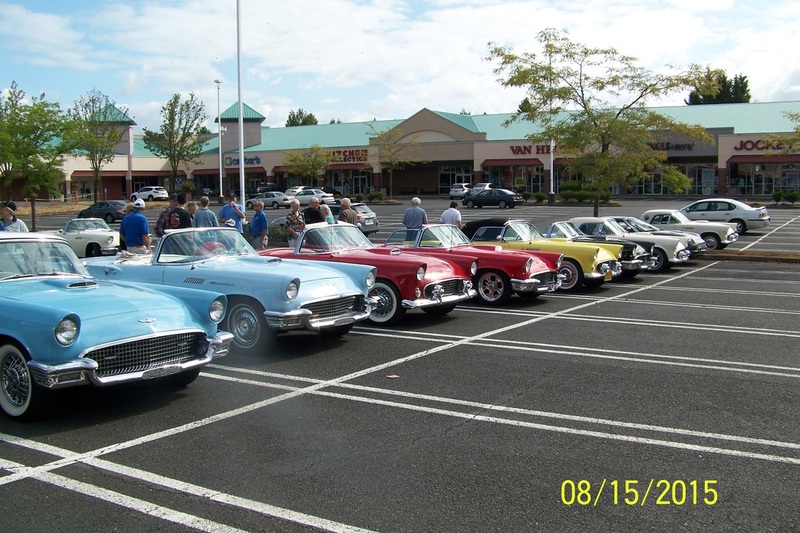 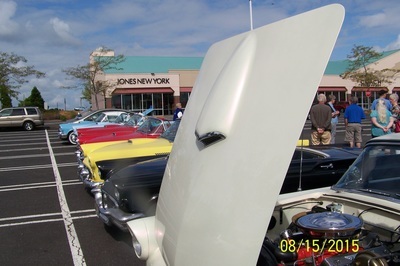 Nine Thunderbirds, one Retro-Bird and one motorcycle met at the Troutdale Outlet Mall. After the normal chit-chat we headed up the old Scenic Hiway. 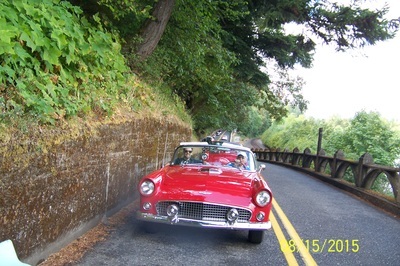 Of course stop lights split us up right away but a quick stop just across the Sandy River Bridge got us back together. Traffic was pretty heavy and it took us a long time to get past all of the waterfalls, especially Multnomah Falls. 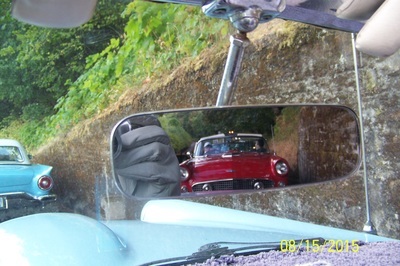 I'd forgotten how narrow the old road is in some places. 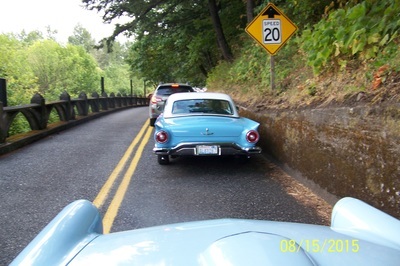 Take a look at some of the photos below how close we were to the retaining wall. Some of these photos were shot just by holding the camera up and clicking away. 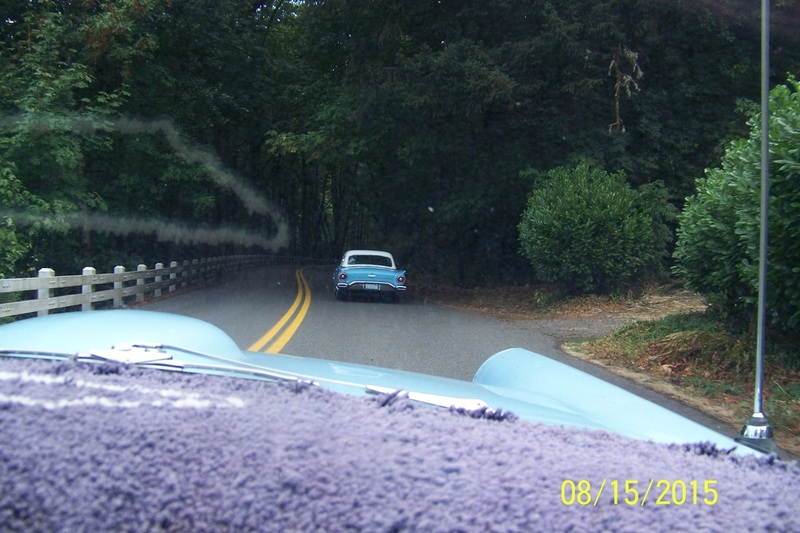 One was taken in my rear-view mirror. We made a short pit-stop at Bonneville Dam viewing the fish hatchery and an obligatory tour of the gift shop. 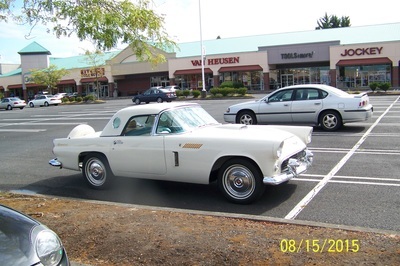 We were then on to the Hood River Inn for lunch via I-84. I think all of us enjoyed the trip and the lunch. Unfortunately the restaurant was not able to seat us all together but we made the best of it. After lunch the plan was to cross the Columbia River and return via Washington 14. 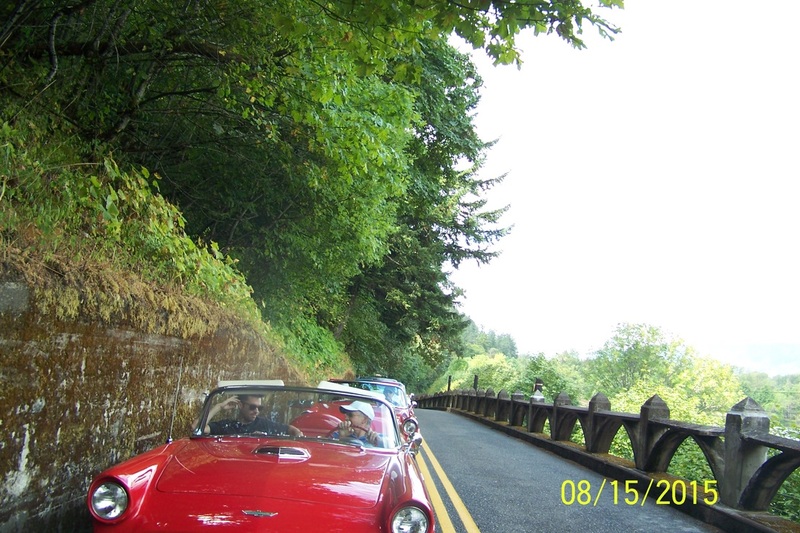 Due to construction and fires I think most of us returned via I-84. 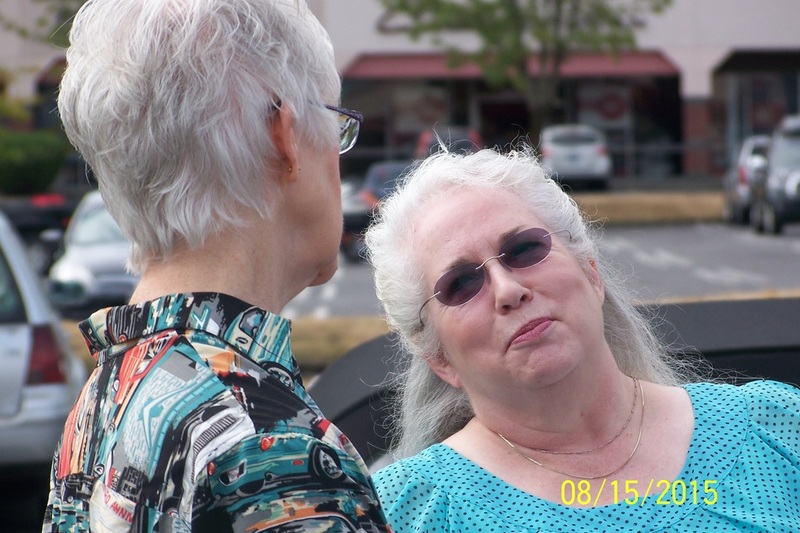 Thanks to Betti Mathews and Marcena Monroe (who unfortunately was ill and couldn't make it) for planning this event.